Welcome! 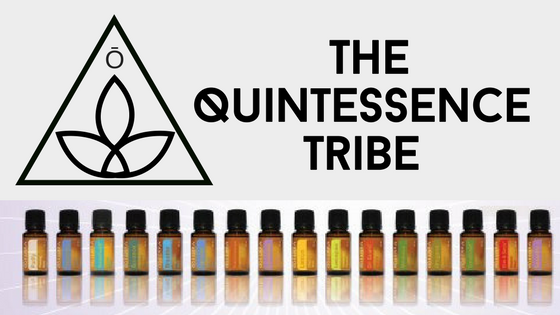 The Quintessence Tribe is our very own collaborative of family and friends (all different ages, walks of life, men and women) who are essential oil blenders, users, lovers and perpetual creators of inventive ways to incorporate plant based wellness into every day life. I don't know about you but the idea of living and being healthier sounds amazing but it's hard. So hard. I've been drinking green smoothies for years and trying my best to sneak chia seeds into my kids' food but let's be honest, all this chemicals in our food talk is overwhelming and even all the talk about oils can seem the same. I get you. When you think about it thought, your sense of smell/scent is most closely connected with your memory out of all your senses, so attaching certain fragrances to routines and spaces in your life can be quite emotional. But beyond just inhaling certain scents, dōTERRA oils, because of how they are made, can also be used beyond aromatically but also topically and internally. This, for me, has been a game changer. What if I ingested the lavender? Which I began to do and watched things like my perpetual hormonal acne begin to clear. What if I used lavender topically? Which I did on my son's mysterious leg rash after camping in the mountains that the doctors could not seem to diagnose. And guess what? Two days into the application of a blend of lavender and melaleuca my son's rash was GONE after over a week of battling it. I went from just loving a scent to realizing this plant power in liquid form is THE JAM. New members of our Tribe receive a Quintessence Tribe Burlap Goody Bag (content change monthly)! 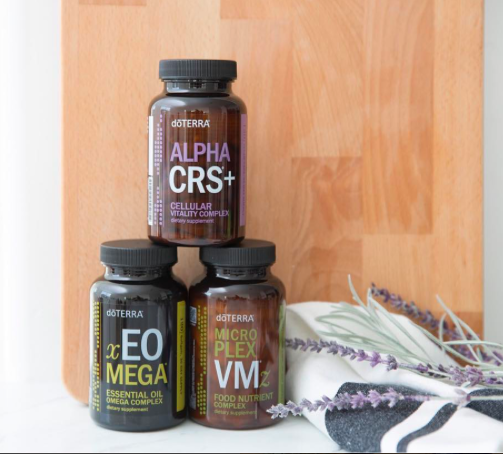 I have so many drawers full of supplements, much to my husband's dismay and not only do I hate taking pills but I'm not sure anything I was getting from the health food stores were really doing much. I try to eat my vitamins in my food/smoothies but let's be honest, some days are coffee and pizza and wine and then what? From the time I began taking this pack faithfully I have felt increased energy, better skin, I HAVEN'T GOTTEN SICK and I could go on and on. MUST HAVES. This is referred to as a GROUNDING BLEND. I'm not a super floral person. This scent, for me, is everything I love about oils. It's a mixture of Spruce Needle/Leaf, Ho Wood, Frankincense Resin, Blue Tansy Flower, and Blue Chamomile Flower essential oils. Diffuse it, use it topically, bathe in it, don't be without it. It promotes a whole body sense of relaxation, may help ease anxious feelings, and evokes feelings of tranquility and balance. Every woman on this planet should have this roller ball bottle of magic. I use this several times daily as do many of my friends and family and it's a game changer. It has helped with cramps, mood swings and balancing emotions. This is a topical blend of Clary Sage, Lavender, Bergamot, Roman Chamomile, Cedarwood, Ylang Ylang, Geranium, Fennel, Carrot Seed, Palmarosa, and Vitex. I use it on my temples, neck and even on my stomach for cramps. It's the ultimate weapon for women for sure. Sign up with your email address to receive recipes, deals, freebies and info on healthy living monthly - all part of our BRANCHES newsletter! Guatemala is one of the countries impacted by healing hands & it is also a place in which we have personally invested. HOW DO I BEGIN MY OIL JOURNEY AND "JOIN THE TRIBE"?! I can help you and provide you with an online community that we have built and bonded that will give you ideas, recipes, suggestions and personalized help! Click below to investigate your options and learn about The Quintessence Tribe burlap goody bag of the month for new tribe members (hint: GOOD STUFF)!